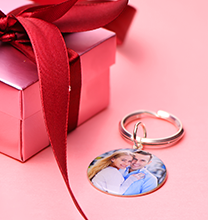 Create the perfect personalized name necklace! 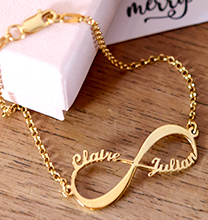 Our Signature Style Name Necklace is sure to be a favourite, thanks to lots of pretty touches that make it unique. The look begins with your name which is rendered in a delicate, beautiful script that’s designed to look just like stylish handwriting, with bold capital letters and smaller lowercase letters to provide plenty of contrast. 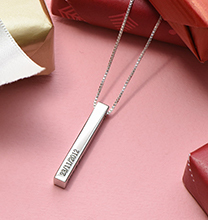 Sure to make a statement while serving as a versatile, go-everywhere accessory, this exquisite silver name necklace may contain any word with up to nine characters. 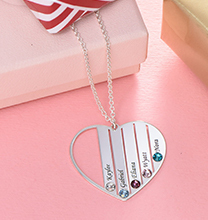 This signature style necklace is made with 0.925 Sterling Silver, with a Sterling Silver cable chain. 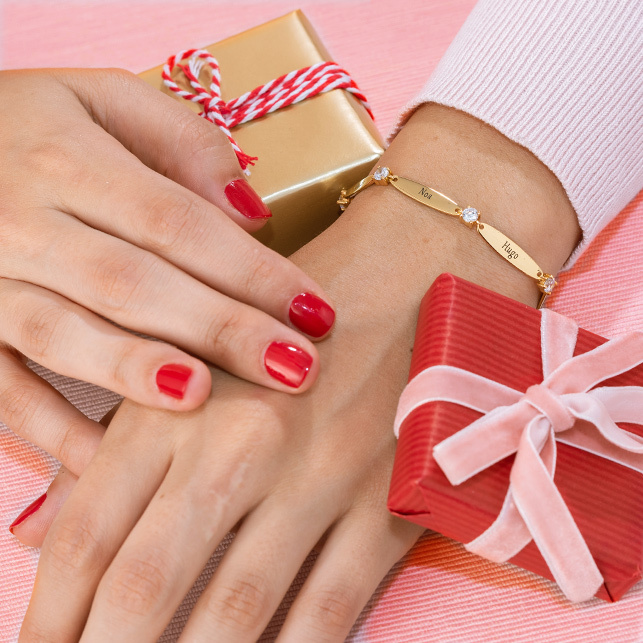 It is also available in your choice of 18ct Gold Plating and 18ct Rose Gold Plating. Love the look and want to see more? 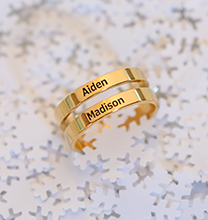 We invite you to browse our collection, where you’ll find the perfect custom name necklace for yourself, as well as for any friend or loved one on your list. This is a stunning necklace and looks amazing on. I have received so many comments about it. Just love it!! Super quick delivery too!! Love! Better than expected quality of chain! And the writing is so classy.